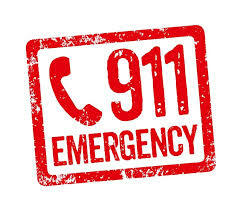 Do you have a 911 call you need to obtain and present as evidence in a court case? This could be for any number of reasons where litigation follows your involvement in a 911 emergency, such as for insurance purposes when involved in a serious car accident, or perhaps an altercation with an emergency responder. If so, then it’s important to make sure the evidence is obtained and presented in a professional manner. While many states allow public access to 911 calls, as in the California Public Records Act that explicitly includes these records, many others like Alabama require a court order to release them. As always, where possible, consult an attorney on the appropriate procedures involved in your local jurisdiction. Even where the 911 record is publicly available, you will generally still be required to apply to the clerk of the court for a subpoena to obtain an authenticated record from the 911 service involved and to have it lodged as evidence with the court prior to the proceedings. Once you have a voice record admitted into evidence, while perhaps not a necessity, it would also be good practice to have that audio recording transcribed. Doing this transcription yourself can certainly save on your overall legal costs but you should be aware that this is definitely not a simple task, especially where the accuracy of a transcription may become the focal point of a legal dispute. While the official format for 911 transcripts will differ depending on the different state authorities responsible for producing them, there are a few general rules of thumb to guide the DIY transcriber. Define your caller and dispatcher ID’s as well as any others referred to in the call. Use a new line for each respondent. Number the lines and include time information if available. Be as accurate as possible and transcribe only what you hear. If using a transcription service that might have unique formatting, be sure to note any special symbols such as the use of brackets and periods for silences or pauses. 1. Q: Medical emergency, 185, what are you reporting? 2. A: This is Apple security reporting a medical injury. 3. Q: OK, what is the address of the emergency? 4. A: Ah… [unintelligible] … errr … just a moment. 5. B: Person in the background: If you could let them know 1 Apple Park Way. 6. A: 1 Apple Park Way. 7. Q: Ok ... so tell me exactly what happened. 8. A: We had an individual, young male, who ran into a … ahhh… glass wall pane and they hit their head. They have a small cut on their … head … and they are bleeding, slightly disoriented. 9. Q: How old is the patient? 11. Q: Is he awake? 12. A: He is conscious. 13. Q: When did this happen? 14. A: It happened around five minutes ago. Around 12:05. 15. Q: Paramedics are on their way. I want someone to watch him very closely. If he gets worse in any way, call us back immediately for further instructions. 17. Q: OK, thank you. 18. A: Thank you, have a nice day. 19. Q: You too. Bye. While this may look straightforward enough, the actual transcription process involves carefully listening and writing exactly what is heard, requiring repeated playback, and can be very challenging in practice. Poor audio, dropouts, indistinct and informal speech with varying accents or the use of slang, combined with the panic of an emergency report, do not make transcription a readily transparent process. Professional transcribers, on the other hand, are trained to represent the audio record as accurately as possible using a specialized transcription format that includes word stresses, vocal intonation, silences, and so on. And while your own transcription attempts would be perfectly sufficient for a blog article, a professional transcription service will provide you with a transcript guaranteed for accuracy and attention to detail, and thus perfectly suited to your legal purposes.